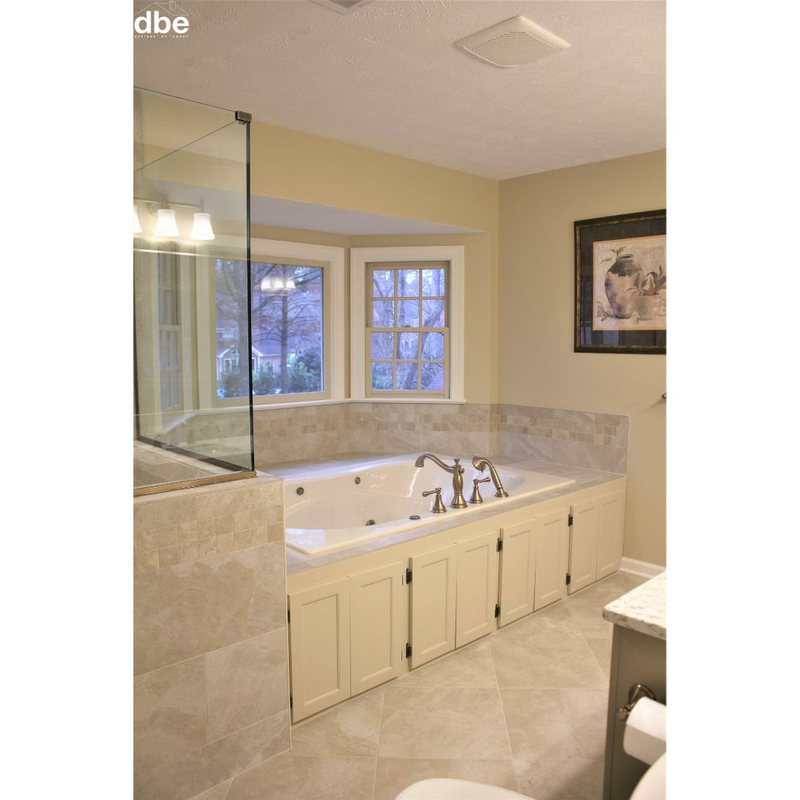 This Yorktown, VA Master Bath remodel was done by the talented team at Marshall Arts. 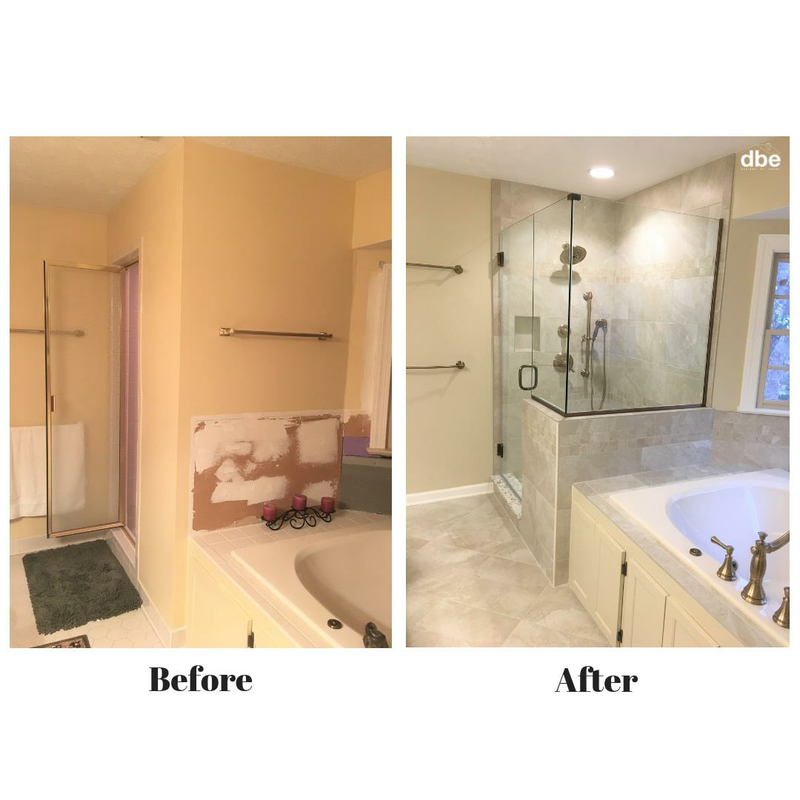 The client wanted a simple bathroom with more light and neutral tones to match the rest of her home. 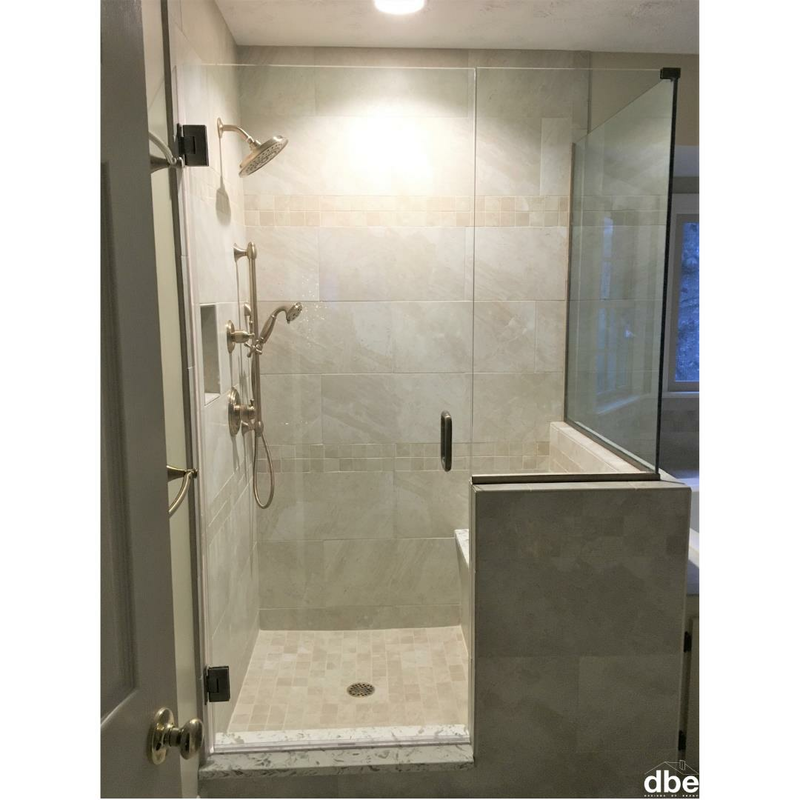 To start this remodel we first removed the walls around the closed in shower. 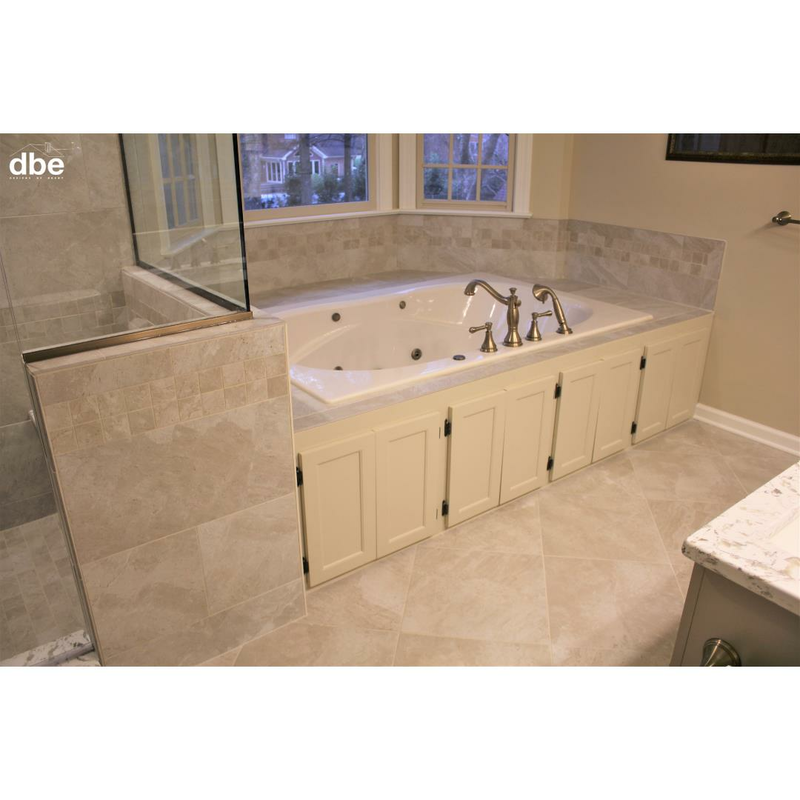 The old tiled seat and curb were now fitted with quartz to match the vanity. 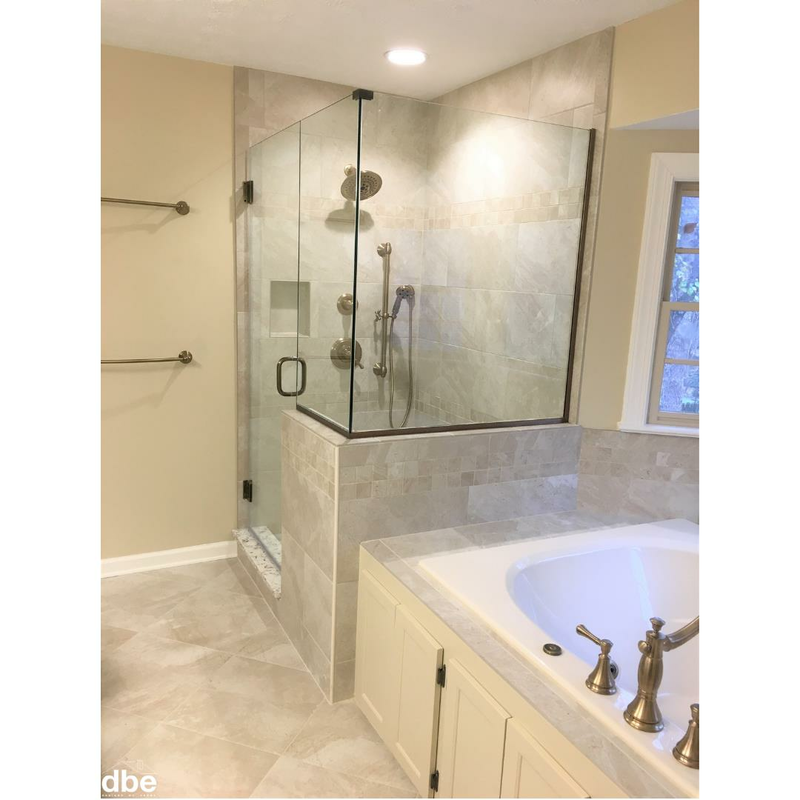 New shower fixtures in a Champagne Bronze finish were added and now included a large raincan and handheld shower head on a slide bar. A recessed niche' was tucked in for added storage. The final piece to finish this new shower included a heavy glass surround and a LED recessed light above. 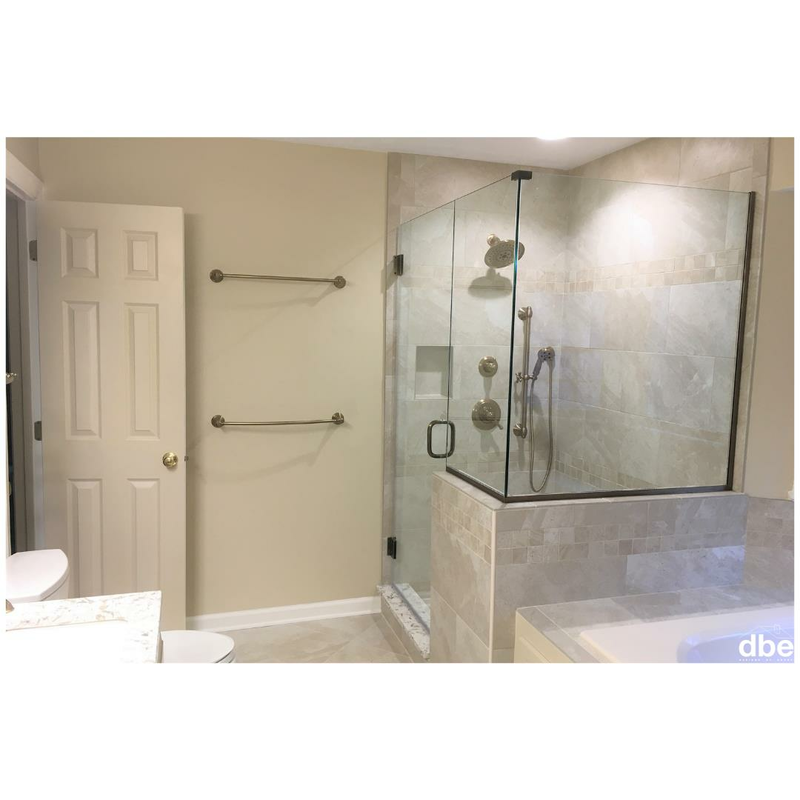 The existing jetted tub was left in place but was outfitted with a new tiled deck and new fixtures with a handheld sprayer. 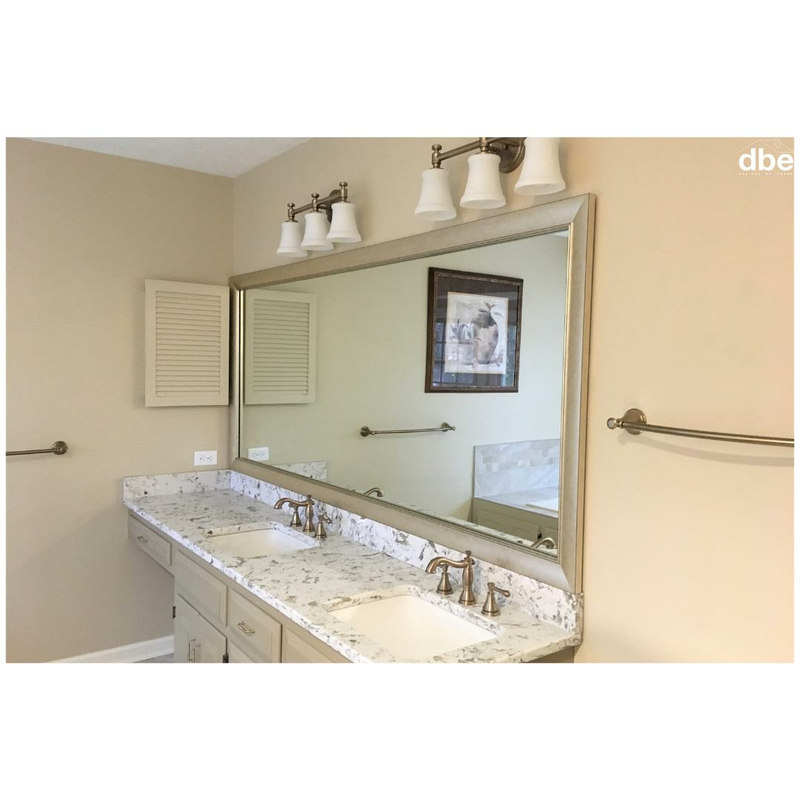 The vanity was in great condition so we reused it with a fresh coat of paint and new Champagne Bronze hardware. 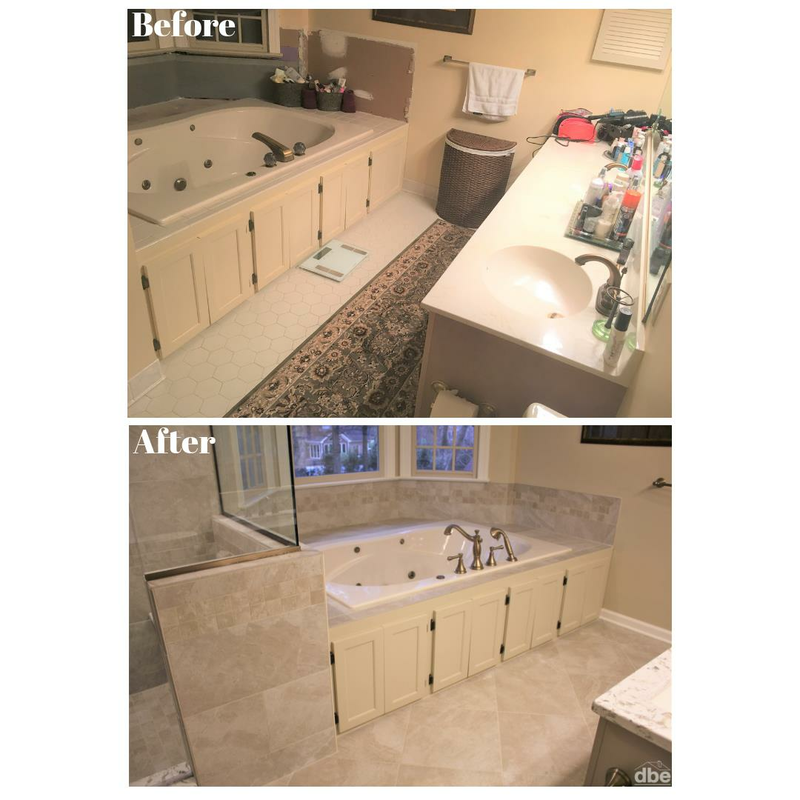 The old vanity top was replaced with a no maintenance quartz top and rectangular under mount sinks. 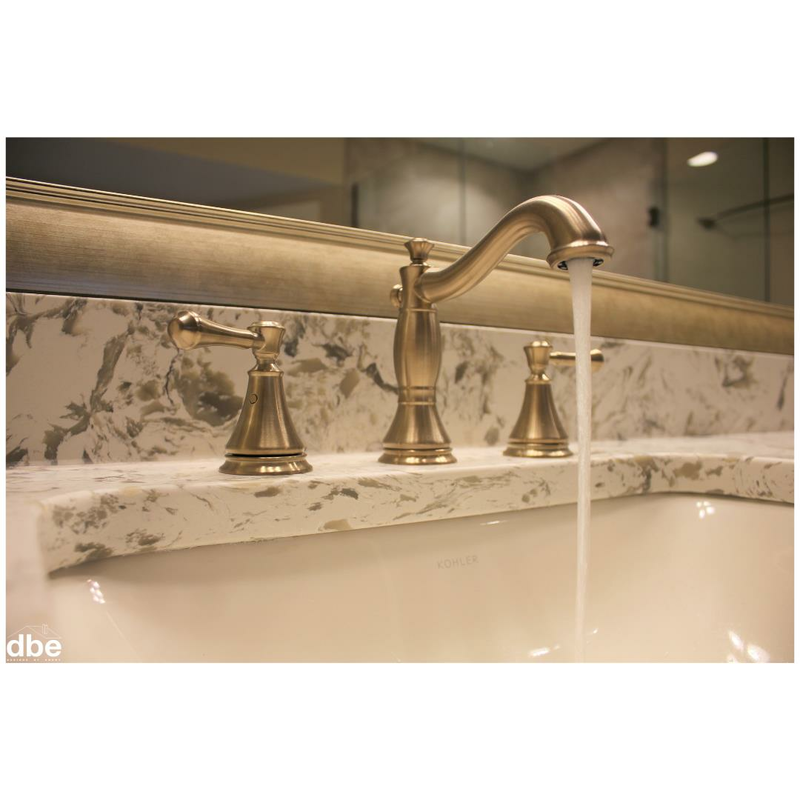 The plain mirror was jazzed up with a custom MirrorMate Frames frame to match the Delta Faucet Champagne Bronze fixture finish. Instead of one dim vanity light we now have two fixtures with LED bulbs to light up the room. 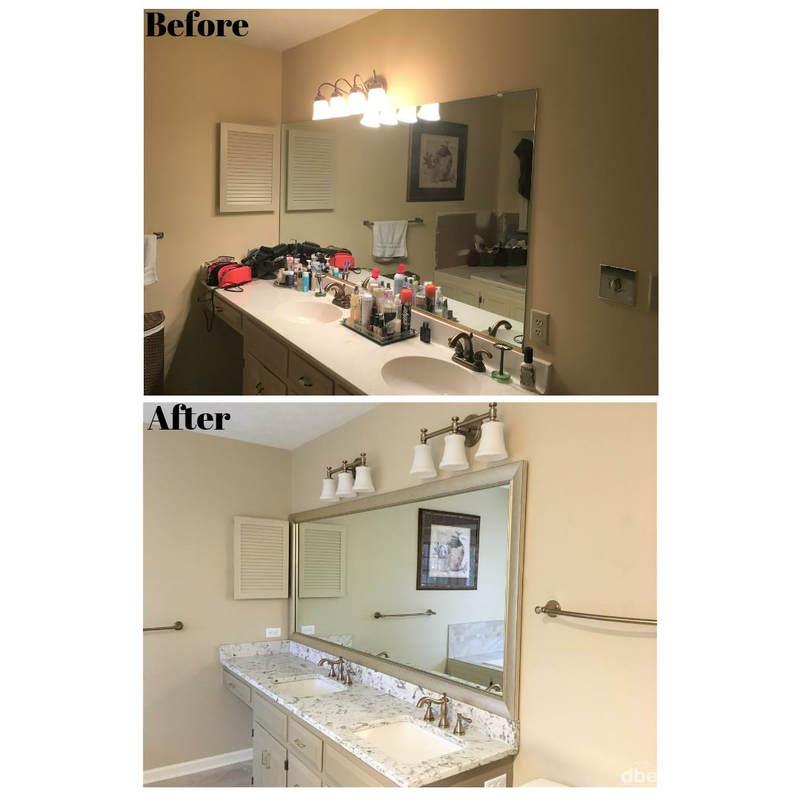 New paint was added throughout and coordinating ceramic tile in 3 different sizes gives this new bathroom a clean look full of light.